My name is Darren and I have been in the drainage industry for over 15 years now. Having worked for a well known national drainage firm for most of that time, I have a wealth of experience and a love of the job! ​D.S. Drainage was born of a desire to move away from the big buisness way of doing things and offer a level of customer service second to none, but with a more personal, local feel. As a family run business, with no big call centres to subsidise, we can keep prices lower and pass those savings on to our customers. ​A friendly, local business proud to serve a friendly, local community! Based in Congleton, in the heart of beautiful Cheshire, D.S. Drainage provides drainage services to communities across the region. D.S. 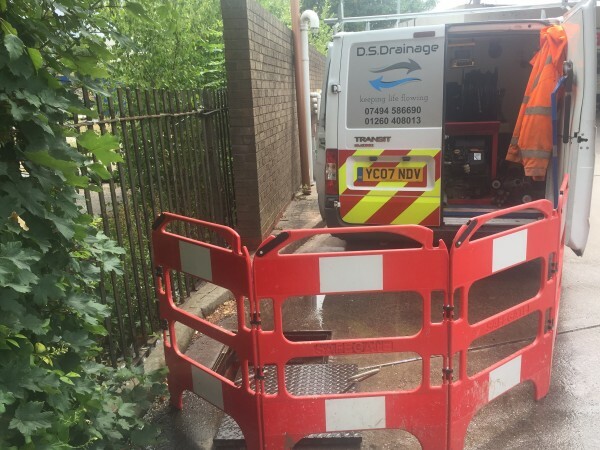 Drainage offers a comprehensive range of drainage services to identify and resolve your drainage problems. With fixed prices within a 40 mile radius of Congleton and NO CALL OUT FEE, please contact us to discuss your requirements and we will be pleased to provide you with a quotation and assist. Why spend a fortune calling out an expensive plumber only to be told that you have a drain problem?! With no call out fee, call the drainage expert first. Problem resolved and only one fee!